The global beverage containers market is anticipated to rake in a colossal demand in the foreseeable future as the worldwide consumption of beverages continues to seek growth. Expected to touch a higher valuation in the coming years, the market for beverage containers could be pampered by the growing demand for high value-added packaging solutions and products. This demand is predicted to be encouraged by the rising trend of product design innovation. In order to stand against the tide of intense competition in the global beverage containers market prevalent in dominating regions such as Asia Pacific, industry players are foreseen to adopt various business strategies. This could be evident through the 2015 deal announced between Bali and Rexam that is prognosticated to raise up a worldwide trendsetter in metal beverage packaging. Moreover, it could be positioned fighting fit in the market for catering to the needs of end users in lucrative regions such as Latin America, North America, and Europe. Plastic packaging is envisioned to ride on its use in flexible as well as rigid applications for attaining a telling share in the global beverage containers market. It could surge its share in the market on the back of some promising advantages. Plastic packaging manufacturers are forecasted to be empowered by the dwindling plastic resin prices and availability of high-speed bottling lines for setting up competitive product prices. Although the demand for glass beverage containers could descend in future, it is still prophesied to remain as a desired selection for packaging high-end products. A beverage container can be made up of several materials such as plastic, glass, and metal. They are designed to hold a fixed portion of liquid such as aerated drinks, fruit juices, energy drinks, herbal teas, soft drinks, and alcoholic beverages. The increasing consumer interest in lightweight, shatter resistant, portable, environment-friendly, and resealable packaging solutions is paving way for the development of innovative containers in the near future. 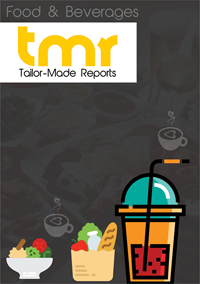 The research report provides invaluable insights into the various trends and competitive scenario of the global market for beverage containers. The rising awareness regarding the merits of beverage containers such as external environment protection and tampering resistance to beverages play a vital role in the growth of the market. The burgeoning demand for non-carbonated and healthy drinks and the growing consumer preference for single serving containers are providing a fillip to the global beverage containers market. Moreover, promising demographic trends such as rising demand for energy drinks among millennial is augmenting the market. On the other hand, the presence of substitutes such as flexible packaging and paperboard cartons is creating an impediment to the growth of the market. The increasing concerns regarding the usage of PET in beverage containers are also negatively impacting the growth of the market. However, aggressive marketing campaigns along with the introduction of new products are estimated to provide a significant boost to the growth of the market in the near future. The market trends indicate a sharp rise in the demand for lightweight containers among consumers. It involves redesigning of packaging materials to cut down the weight of products, thus making it easier to carry. Moreover, producing lightweight containers also reduces the intake of raw materials, thereby ensuring environment sustainability. For instance, in February 2015, Amcor Limited launched lightweight, hot-fill beverage bottles for its client. These cans are made up of 25% recycled aluminum and are 10% lighter than other cans. The company projects a reduction in the usage of 19,000 tons of aluminum per year due to their efforts. The increasing efforts by players in expanding their geographical outreach will also create lucrative growth opportunities for the overall market. To put this in perspective, Crown Holdings Inc. started a production plant in Tioga County, New York in January 2017. This set up is anticipated to create 160 new jobs in the region with its new $132 million project. The key segments methodically examined in the report on the basis of geography are Asia Pacific, Europe, North America, and Rest of the World. Asia Pacific is estimated to be a prominent market throughout the forecast period. The burgeoning demand for glass bottles from the beer industry coupled with the availability of a wide range of alcoholic beverages is propelling the growth of the region. Moreover, the booming food and beverage industry in the region is driving the demand for beverage containers. Countries such as China, South Korea, Japan, and India will be the sights of high growth in the region. The global beverage containers market is characterized by high competitive rivalry. Global leaders are aiming at consolidating their position through mergers and acquisitions and rigorous research and development activities. Product innovation is another key growth strategy for prominent players in the market to enhance their visibility. Some of the key players in the market are Ball Corporation, Rexam, Amcor Limited, Crown Holdings, Ampac Packaging LLC, Berry Plastics Corporation, Coca-Cola Company Incorporated, Evergreen Packaging, Hindalco Industries Limited, and Dean Foods Company.